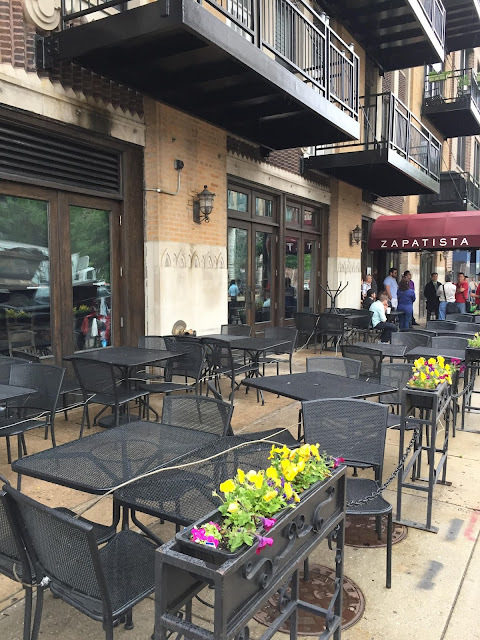 Sloopin - A South Loop Blog: Are Scout Peeps Working on a Concept at Old Zapatista Space? Are Scout Peeps Working on a Concept at Old Zapatista Space? There is work going on at Zapatista. Last week the lights were on and the lease sign had come down. Now the windows are covered up and there is a dumpster outside with work going on inside. Further, saw some Scout personnel walking in there - maybe there opening something else? Well this is a juicy one! Sounds promising - anyone have additional info? If true, any thoughts on what Scout might be thinking about? Seems like it would have to be a pretty different concept to have success (not just another sports bar...). As a reminder, back in October of last year we posted about this retail space getting a new owner. The old restaurant, Zapatista, was a neighborhood stalwart that seemed to have a steady crowd. The closed abruptly back in June of 2015.